With Matrix and tree Arms Percolators. 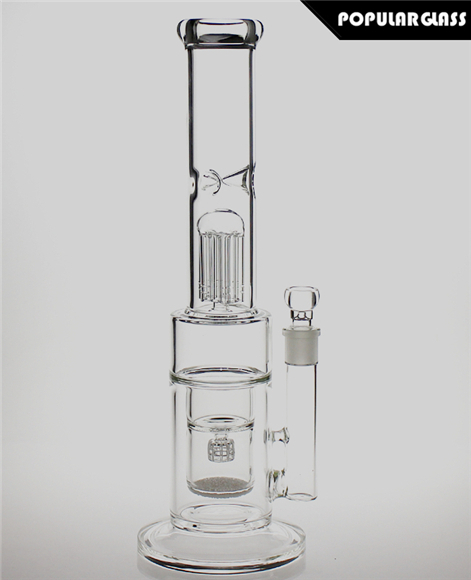 Tall: 38.5cm ,18.8mm joint size. 5mm thick glass.